I think my absolute favorite part of decorating is changing up the throw pillows. It still pleasantly surprises me how a few new pillow covers can change the look and feel of a room in an instant. I’ve found it important to order good quality pillows with of course darling designs. That is why I love Caitlin Wilson designs. The patterns and prints are to die for, and the quality is fantastic. If you know my personally, you know how much I love a pop of color. These pillows were exactly what I wanted for our living room, and gave it such a vibrant and happy feel. I opted for these pillow inserts and absolutely love them, and the price isn’t too shabby either. 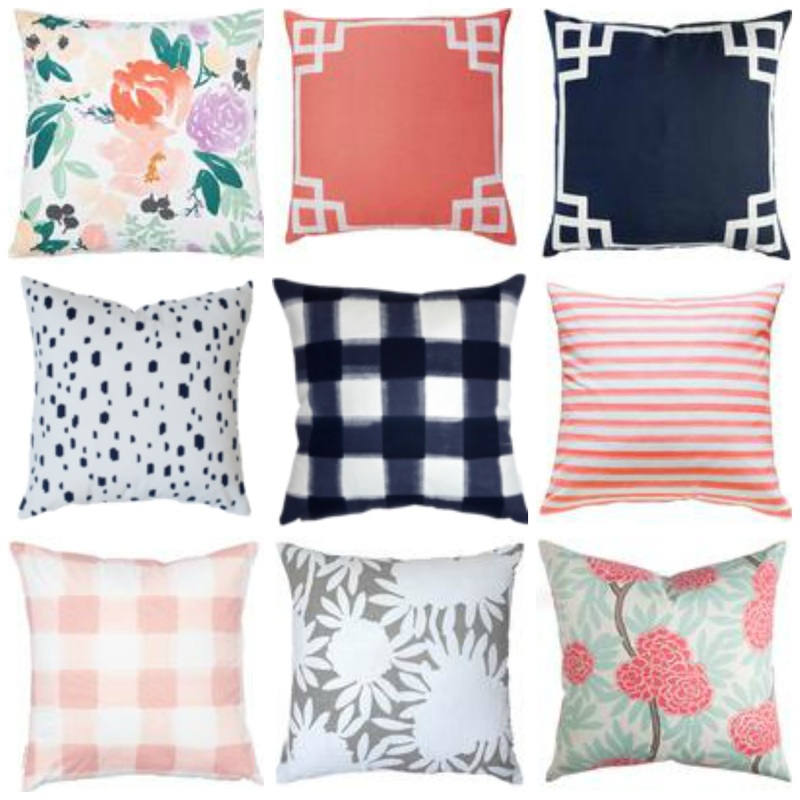 If you’re on the hunt for the perfect pillows to brighten a room, I would definitely suggest taking a look at Caitlin Wilson. Ive shared my favorites below, but you can see all of the designs here. I LOVE this look!! I'm wondering where you got the solid pink/coral pillow?